The White Dragon Judo train made a stop in Kansas City, Missouri for the 2013 Kansas City Open Judo tournament. This was the first USA Judo sanctioned event in quite sometime. Derick Wellman’s team was poised and eager for success in this regional tournament. In the junior division, Jocyln Butler placed fourth in her division. 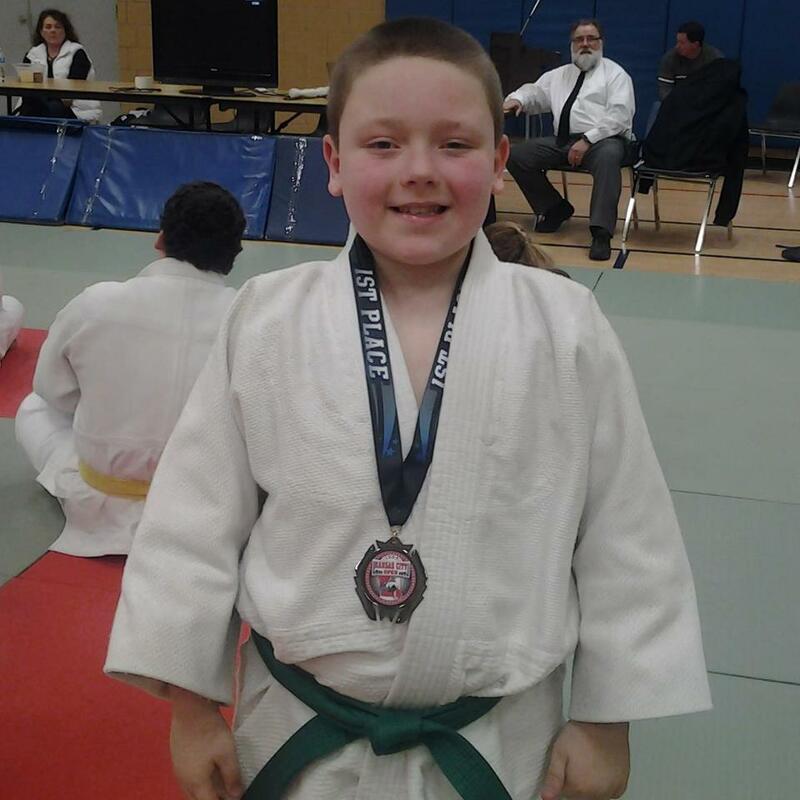 Devin Busch took bronze in the age 9-10 boys division. Anthony Darevsky was the judoka of the day. Anthony fought in a large and highly talented division. Anthony went 4-0 on the day, winning the gold medal match via pin. In the Master division, Andrew Lazarz scored ippon in the last minute of his gold medal match. For the second consecutive tournament he used his patented spina (Russian drop seoinage) to win the match. Dan Dillon placed fifth in his division. Eugene Hamilton continues to show improvement. He took home a silver medal. Adnan Gutic fought extremely hard, showing off some awesome newaza. He took home a hard fought silver medal for his efforts. Demonn Smith finished with a silver medal in the Senior Men’s Heavyweight class. Anna Feygina continues to tune up for the 2013 US Nationals with gold medal finish in the female lightweight division.